We understand that the Nigerian Army have rescued some 200-300 girls and women from the territories that Boko Haram had controlled. One report stated that some could be the girls from Chibok. Another report say’s that they are investigating to find out if some of these women and girls were Boko Haram wives. We are trying to gain more information and verify these reports. The Fides Agency reports that these are not the girls from Chibok. The Army has uncovered shallow mass graves from the many victims of this Christian Holocaust. Our hearts and prayer go out to the people of Nigeria. As Fides states there are 150,000 affected in a Maiduguri diocese alone. With 5,000 known killed, and 100,000 fleeing. The ones who could flee are facing enormous challenges, without housing, food, clothing and many without loved ones. We will keep you updated as we gain more information. Abuja (Agenzia Fides) – The Nigerian army have expressed joy for the release of hostages held by the Boko Haram Islamist sect, but also sorrow for the discovery of mass graves where many victims were buried. About 300 women and girls were rescued during the military offensive in the Sambisa forest, considered the stronghold of Boko Haram. The girls rescued are not the 200 girls abducted a year ago in the school in Chibok, whose story had caused a stir around the world. Last week about twenty graves were discovered where hundreds of decomposing bodies had been buried, including those of women and children, in Damasak, Borno State city in the north east of Nigeria, which had fallen in the past year under the control of Boko Haram. The victims were killed during the retreat of the men of the Islamist sect, pressed by the Nigerian military. “Extremists continue to act because the military have not been able to hit all their strongholds, and I am not surprised that they have attacked new people”, said to “Aid to the Church in Need” His Exc. Mgr. Oliver Dashe Doeme, Archbishop of Maiduguri, capital of Borno State, whose diocese has been particularly affected by the violence of Boko Haram. According to the latest data, 5 thousand of the 125 thousand Catholics have been killed by extremists and 100 thousand have fled, including 26 of the 46 diocesan priests, 30 religious women, and more than 200 catechists. Of the 40 parish centers, 22 are currently empty or occupied by Boko Haram, while 350 churches have been destroyed. Finally three of the four Catholic schools have been closed. Mgr. Doeme expressed hope that the advance of the military marks “the beginning of the end of Boko Haram”. VOP is working in the Nigeria to aid the extremely persecuted. Together with your generous support, we can reach the goal to alleviate horrific suffering. In darkness and desperation, let us serve in love, with open arms and giving hands to provide light and hope. 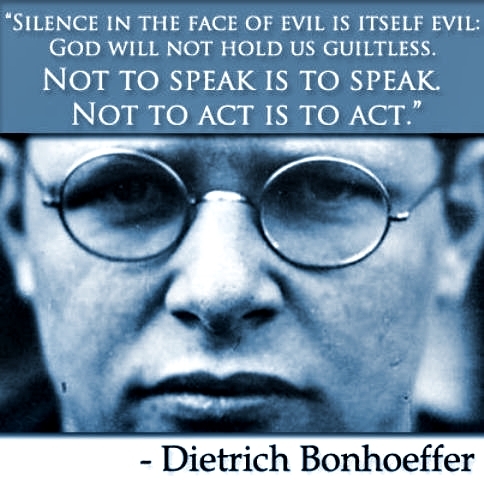 THE CHRISTIAN HOLOCAUST: JONATHAN CAHN’S SPEECH TO THE U.N.
April 28, 2015 9:07 pm / 5 Comments on THE CHRISTIAN HOLOCAUST: JONATHAN CAHN’S SPEECH TO THE U.N.
Johnathan Cahn has spoken at the UN and called for action against the Christian Holocaust, and he brings the point that we have repeatedly said. If we sit silently and say nothing we will be judged for our inaction. Where is the international outcry for the Christian Holocaust? A must see video. Jonathan Cahn speaks at the United Nation’s Economic Social Chamber about global Christian persecution. (Voice of the Persecuted) In March, Abubakar Shekau the leader of Boko Haram pledged allegiance to IS. 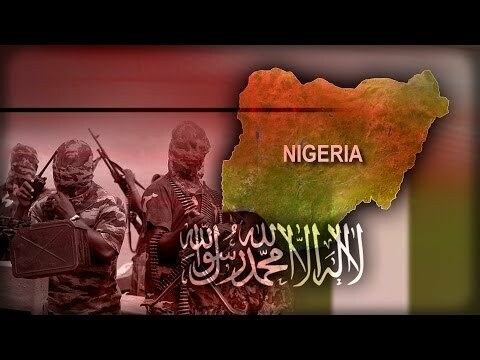 The Boko Haram group terrorizing north Nigeria has renamed itself, Islamic State’s West Africa Province (Iswap). Proving their expansion into Africa to create a global ‘caliphate’, IS (ISIS) is now promoting the Islamic African group and highlighting Boko Haram fighters who have been killed, as martyrs. VOP has warned for the past year of the ties this group had with ISIS and others. All of them banding together for the same outcome, total Sharia rule. And it’s laws forced upon every citizen. It is unclear if IS has endorsed the name change. This allegiance with the Islamic State could bring heightened attacks to the already weary displaced in the north. Churches who have stayed to care for the refugees are beyond the brink of their capabilities to care for so many. Christian leaders and pastors have warned for sometime that the Boko Haram has been targeting Christians and trying to eradicate any form of Christianity in the region. They have also reported that the media refuses to share their full reports to show the discrimination and extreme persecution North Nigerian Christians are suffering. 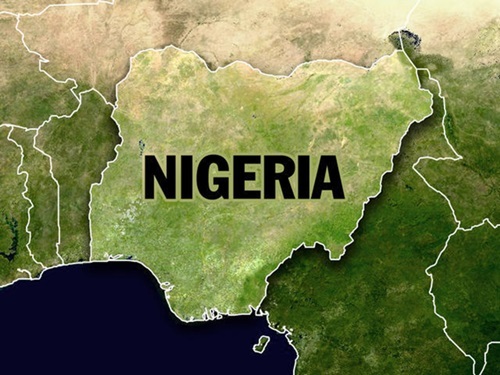 The Nigerian military with the help of a coalition force from surrounding nations have gained victories in reclaiming areas taken over by the Islamic militant group. With the backing of the Islamic State, their fight could become more lethal further endangering Christians. Please continue to remember and pray daily for Nigeria. Pray for peace in Nigeria. Pray the many missing and displaced to be reunited with their families. May God clear a path and make a way for them. Pray they will hold on to their Christian faith in the face of the enemy. Pray that they feel the Lord’s presence with them. Pray for more helping hands and caring hearts. Pray for more VOICES so their cries will be heard. Pray for God’s intervention and the eradication of these demonizing terror groups. (Voice of the Persecuted) In this month of April, the commemoration days of 3 past genocides take place. April 7th marked the anniversary of the Rwandan Genocide. The 1994 genocide resulted in the systematic massacre of 800,000 Tutsis and moderate Hutus in less than 100 days. The events occurred while the international community closed its eyes. Last week, April 15th marked the observance of the Jewish Holocaust, genocide inflicted on Jews by one of the most dreaded tyrants in history, Adolf Hitler. When the Nazi’s assumed power in 1933, they used propaganda, persecution, and legislation to deny human and civil rights to Jews. They used centuries of antisemitism as their foundation. By the end of the Holocaust, six million Jewish men, women and children had perished in ghettos, mass-shootings, in concentration camps and extermination camps. Today, it is very sad that when asking the question “Have you heard of Adolph Hitler?”—many of our youth/young adults don’t know him, nor the atrocities he committed. It is also disturbing how many claim the Jewish and Armenian Holocaust never happened. With these horrible and permanent scars on humanity, one would believe mankind would learn from it and ‘Never again, would mean never again. But sadly, genocide kept happening—Cambodia-1975, Bosnia-1991 and Rwanda-1994 to name a few. What massacre will the future hold? This Friday, April 24 marks the 100th Anniversary of the Armenian Genocide also known as the Armenian Holocaust, Armenian Massacres and the Red Sunday. Traditionally, it’s known by Armenians, as Medz Yeghern the “Great Crime” which was the Ottoman government’s systematic extermination of its minority Armenian subjects inside their historic homeland, within the territory constituting the present-day Republic of Turkey. The total number of people killed as a result has been estimated at between 1 and 1.5 million. Though it began much earlier, the starting date is conventionally held to be 24 April 1915, the day Ottoman authorities rounded up and arrested some 250 Armenian intellectuals and community leaders in Constantinople. The genocide was carried out during and after World War I and implemented in two phases: the wholesale killing of the able-bodied male population through massacre and subjection of army conscripts to forced labor, followed by the deportation of women, children, the elderly and infirm on death marches leading to the Syrian desert. At least 500,000 Greeks, up to 750,000 Assyrian Christians throughout Mesopotamia were also eliminated. Turks must bear most of the guilt, but Kurds and Arabs were also involved. In the Religious Liberty Prayer Bulletin, Elizabeth Kendal wrote an excellent article, GENOCIDE: THEN AND NOW. She touched on the point that Britain’s economic interests in keeping the Ottoman Empire united and strong for the purpose of free trade and believed was the key to world peace. And geo-strategic interests in keeping Russia hemmed in. So Britain and France entered the Crimean War on the side of the Ottoman Turks. In exchange for British support the Sultan agreed to enact reforms aimed at improving the situation of his Christian subjects. The reforms, guaranteeing religious freedom and equality before the law, were aimed at bringing an end to the Christians’ status as dhimmis (second class citizens, without rights). She shared that Muslims rejected these reforms as anti-Islamic. And removing of jizya(protection money) was seen as permission for jihad. In 1860 some 20,000 Christians were slaughtered in Syria and Lebanon. In 1876 up to 25,000 Eastern Christians were massacred in the ‘Bulgarian horrors’. In 1895-96 as many as 200,000 Armenians were murdered in Turkish Armenia. Keen to maintain its pro-Muslim policies, Britain adopted a ‘conspiracy of silence’ regarding the killings, along with running a campaign of propaganda vilifying Eastern Christianity. So the killings continued. Then in 1915, as World War I raged and the Ottoman Empire unravelled, Turkish authorities exploited the chaos to launch an orchestrated campaign of ethnic-religious genocide, knowing full well that it was not in the interests of any Western power to stop them. During his 2008 campaign, Obama promised to recognize the 1915 Turkish massacre of Armenians who were mainly Christians. This month, forty-nine members of the US House of Representatives wrote a letter to US President Barack Obama urging him to finally recognize the mass killings of the Armenians by the Ottomans in 1915 as genocide. To this day—disappointing many, Obama has not kept that promise. And this year will be no different. “With the world’s attention drawn this April 24 to worldwide Armenian Genocide Centennial commemorations, President Obama will, tragically, use the moral standing of our nation not to defend the truth, but rather to enforce a foreign power’s gag-rule. He has effectively outsourced America’s policy on the Armenian Genocide to Recep Erdogan,” said Hachikian. “As Americans of Armenian heritage–despite the repeated surrender of President Obama to foreign pressure–we will, with our allies, continue to work, with increased vigor and determination, to build American support for a truthful and just resolution of the Armenian Genocide,” he added. Time does not erase the scars of mass murder. If mankind is to to affirm, “Never Again,” devoted to preventing future genocide—knowledge, remembrance and support are imperative for all generations. And silence is not an option. 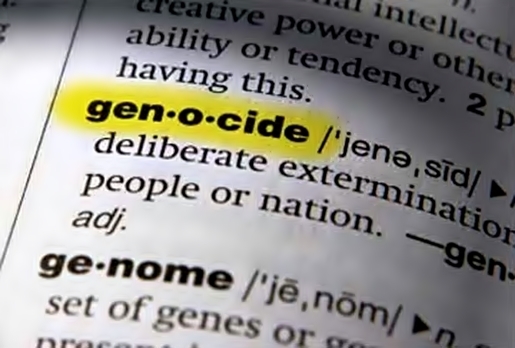 In 1996 Gregory Stanton, the president of Genocide Watch, presented a briefing paper called The 8 Stages of Genocide at the United States Department of State. In it he suggested that genocide develops in eight stages that are “predictable but not inexorable”. (b) Causing serious bodily or mental harm to members of the group. (d) Imposing measures intended to prevent births within the group. (e) Forcibly transferring children of one group to another group. The United States ratified the UN Convention on the Prevention and Punishment of the Crime of Genocide in 1988. Many fear we will witness a Christian genocide. And some believe it has already begun. Every Christian should be concerned for ALL believers in Christ suffering in the world, today. 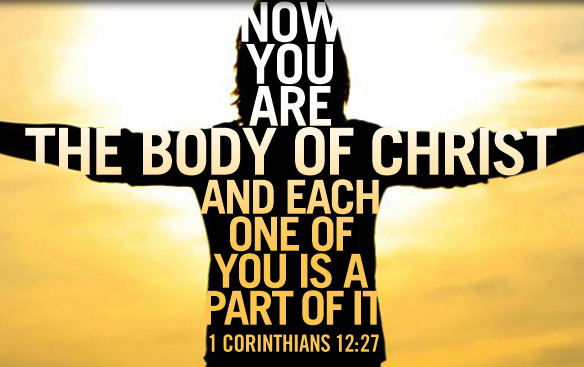 They are our ‘family’ in Christ. We should ardently defend, support and bring hope through aid for their survival. We must be their VOICE when their cries are not heard. We must work to shield them from a possible genocide. The rest of the world may remain silent, but we cannot. The numbers of persecuted are staggering. 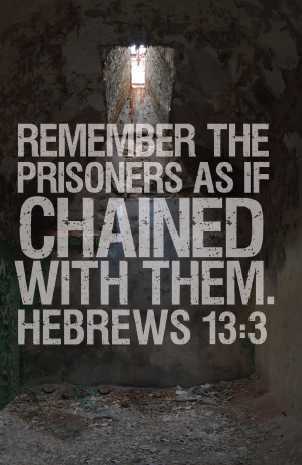 Too many are still unaware that Christians are persecuted or at risk of extreme persecution in these modern times. Sadly, too many Christians know nothing of their brethren suffering to the extreme or losing their lives. Yes, it can be tough to hear of the abuse or read the news of a new attack. But we can no longer look away. And we certainly must remember them daily in our prayers. When we have been injured, we do what we can to care for and protect the wounded body part. Folks, the Church is being attacked. We, as the Body have been injured and the wound must be tended, not ignored. We are our brother’s keeper. Stand as ONE with them! (Voice of the Persecuted) Yesterday, Ethiopians began three days of national mourning for more than 20 Ethiopian Christians killed by Islamic State militants in Libya. ISIS once again singled out Christians and documented their savagery in a video where they brutally beheaded and shot the believers in Christ. The Islamic State – aka ISIL/ISIS/IS/Daesh – has taken over parts of Iraq and Syria in recent months. The militant terror group has established a caliphate and carried out mass persecutions of minority populations, primarily Christians and Yazidis. They have also published videos as a warning to countries that have militarily intervened and a way to control civilians through fear. The discriminate murders have horrified Ethiopians and spurred international calls for condemnation. 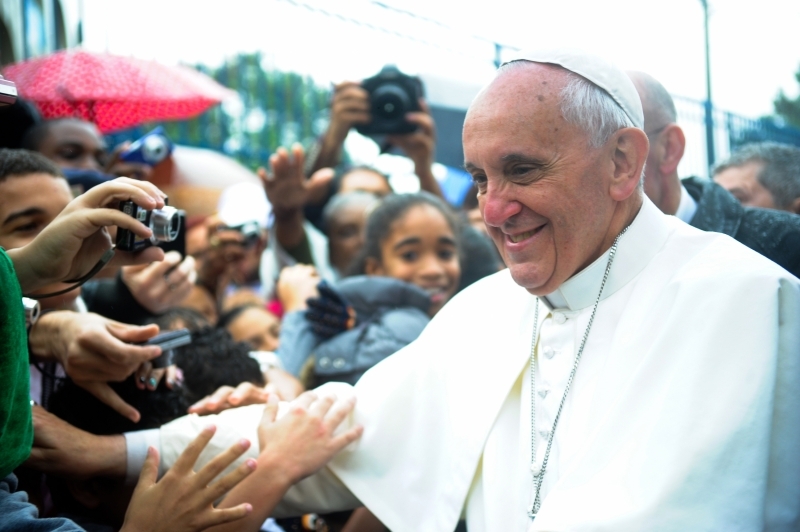 The leader of the Catholic Church shared his anguish of the mass execution and offered his condolences to patriarch of the Ethiopian Tewahedo Orthodox Church, Abuna Matthias. If you are a church leader raising awareness and praying for the persecuted, we would be very encouraged to hear from you! If you are a leader who would like to begin sharing with your congregation, contact us at info@voiceofthepersecuted.org with Pastor for the Persecuted in the subject line. We’d be happy to help you in the process. 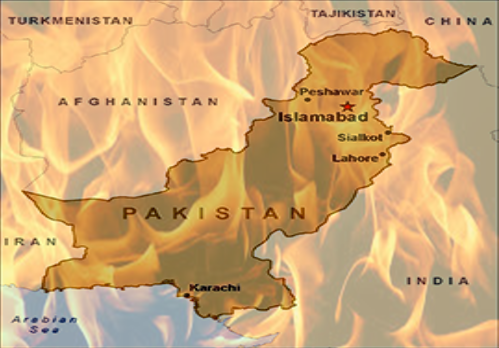 Lahore (Agenzia Fides) – The human rights situation in Pakistan is strongly deteriorating: is what the latest Report of the “Human Rights Commission of Pakistan” (HRCP) says, one of the largest NGOs in Pakistani society, with a widespread network in the country. In the document sent to Agenzia Fides, titled “State of Human Rights 2014”, we note that the attack of militants against the military school in Peshawar, November 16 that killed more than 130 children, effectively symbolizes the situation of human rights in Pakistan. According to the Report, the attack is somehow a “turning point”, as it seems to have created a broad consensus against fanaticism in Pakistan. However Zohra Yusuf, President of the HRCP noted: “It is a shame that such consensus at a national level against the Taliban and other extremist groups has remained a military affair”. According to the document, 1,723 Pakistanis were killed and 3,143 were injured during 2014 in 1,206 terrorist attacks, 26 of them were suicides. The fight against terrorism, joins the campaign for freedom: “The restrictions on freedom of expression did not decline in 2014”, notes the Report. Pakistan has been defined as “the most dangerous country in the world” for freedom of press, with 14 journalists and media workers killed in 2014. With regards to the condition of religious minorities, it is stated that “religious extremism continued to increase in 2014: 11 buildings, including Hindu temples and churches, were damaged in the southern province of Sindh, while two attacks were carried out against the minority Zikri in Baluchistan”. Last year there were 144 reported incidents of sectarian violence, 141 of which were terrorist attacks and three were sectarian clashes, says the Commission. 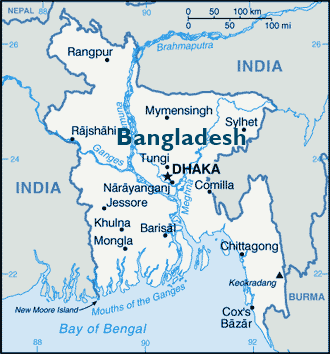 During last Easter, a Catholic Christian village made up of tribal Khasia people living in Bangladesh was attacked by Muslims. Syed Ara Begum, a Muslim owner of a tea plantation, along with a Muslim mob, attacked the Christian village as its population was celebrating Mass for Easter Monday. The plantation owner reportedly seeks to seize the Christians’ land. Hearing the cries of his flock, Fr. James Kiron Rozario ran to the site of the attack. Once there, the crowd of Muslims attacked him with a knife, seriously wounding him and threatening to kill him. The Muslim mob went on to steal items worth 33,900 taka (4,134 EUR). They also destroyed Bibles, crosses, holy pictures, musical instruments and homes — and slaughtered goats and chickens.